Most tourists to the hills would drive up to Darjeeling, passing through Kurseong en route, without ever thinking of spending a night there. A small cosy town which had been visited by people like Rabindranath Tagore and Netaji Subhas Chandra Bose, Kurseong is losing its charm and glory to attract tourists. To promote Kurseong to tourists and highlight the town through photography ‘The Photographic Society of Kurseong' has been formed in a meeting presided over by Roshan Thakuri held at Sub-Divisional Library, Kurseong, on Sunday. Kurseong, at 4,864 ft above the sea level, surrounded by tea gardens and being host to a number of academic institutions, has always been a favourite retreat for writers, painters and scholars. People interested in meditation and spiritual uplift have often visited Kurseong. This small town in the lap of nature with conical pine forests has a green cover all around. Villages dot the area with ethnic groups who practice tradition and culture in harmony. Pleasant weather and picturesque panorama with historic settings should be enough to entice travellers of every type and nature enthusiasts. Secretary of the newly formed society Jitu Giri said that the society was formed to serve people interested in photography and to highlight the area in the international map. 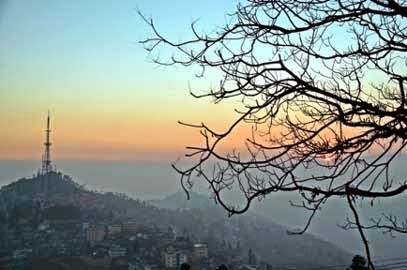 To attract the tourist to the town the members will capture the picturesque scenes of Kurseong and adjacent areas and posts in blogs, social networking sites and websites. The society will also organize photo exhibitions. The meeting was attended by the photographers of Kurseong and its surroundings. The newly selected members are Roshan Thakuri (President), Anand Subba (Vice President), Jeetu Giri (Secretary), Abhimanyu Pradhan (Jt. Secretary), Anjan Ghatany (Treasurer), and Anita Bantawa (Chief Advisor).